You are here: Home › #oklaed › The #OKEDrally View From My Tweets! The #OKEDrally View From My Tweets! 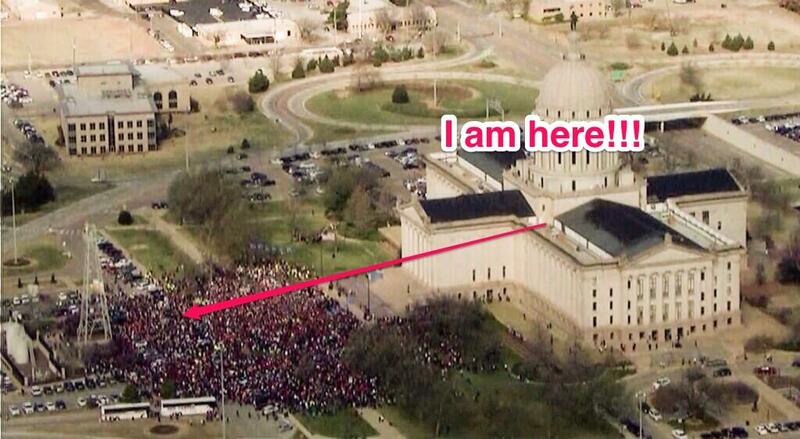 Yep – that is where I was during the #OKEDrally on March 31! Signs at #OKEDRally: education funding equals economic growth! Signs at the #okedrally: if you can read this thank a teacher! 2 Responses to "The #OKEDrally View From My Tweets!" Wow., rank 3rd in nation and at bottom of pay scale. What am I missing?????????????? ?